board providing the ultimate comfort for our passengers. stunning scenery to view ancient ruins and bountiful sea life. Full day or half day visits are available. entertaining and informed expert on board commentary. A memorable day out! For the Doolin Ferry timetable please visit HERE. Reservations in advance recommended HERE. centre located on Fisher Street located next to O’Brien’s Knitwear Shop and O’Connor’s Pub. Inis Oírr (Inisheer) is the smallest of the three Aran Islands. Its name means “Back Island” and is the closest island to Doolin Pier. This charming island has a lot to offer. Visitors can enjoy O’Brien’s Castle, medieval ruins, seal colonies, a shipwreck (of Father Ted fame), fantastic walks, and much more. Looking out onto the Clare Coastline you can also witness breath-taking views of the Cliffs of Moher from a unique perspective. This island is highly recommended for families with small children. The main sights of Inis Oírr are easily accessible from the port of arrival. There is a playground which is located just behind the beach making it an ideal area for picnicking. There are three pubs serving food & refreshments, a small convenient store for bits & pieces, and an array of cafes for delicious island fare. 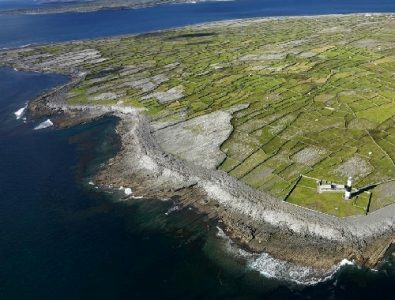 Inis Oirr is truly a special place and a local favourite! 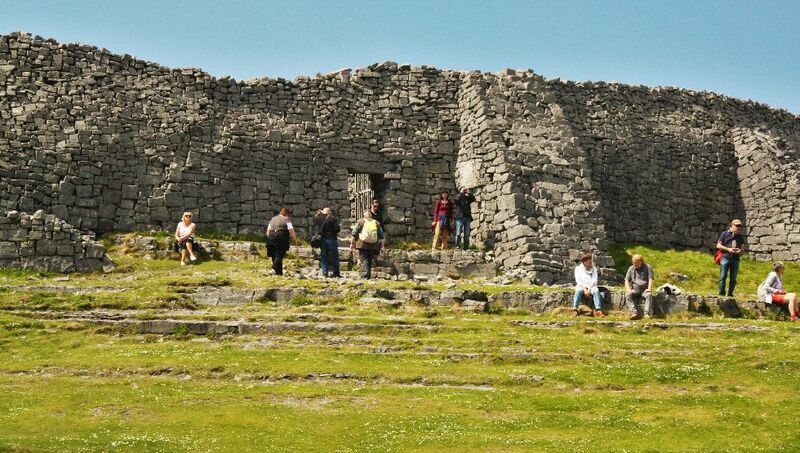 Inis Mór (Inishmore) is the largest and most travelled to of the Aran Islands. Its very name suggests its size compared to the other islands, meaning “Big Island”. The main harbour Cill Rónán (Kilronan Village) where the ferry arrives is a bustling port with all the modern conveniences you may need for your visit. Visitors can travel around the island by bicycle, mini-bus, and pony & trap tours. 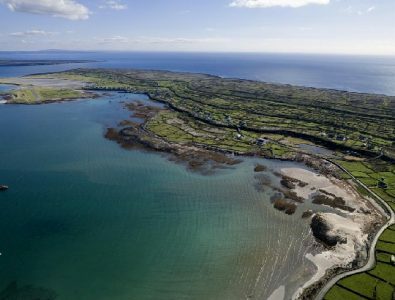 Along with visiting the famous ‘Dun Aengus’ ring fort and ruins, there are several beaches that ribbon the coastline of Inis Mór providing a rich environment for seal colonies and wildlife. Visitors can enjoy picnicking, fishing, and even have a swim! Inis Meáin (Inishmaan) is the middle island among the three Aran Islands. There are over 300 flowering plants from places as far as The Arctic and The Mediterranean Region and a wide variety of nesting birds and natural ecosystems on this serene Island. 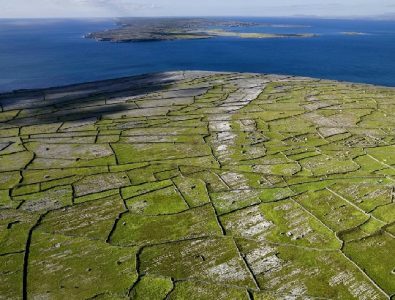 Inis Meáin is truly an escape from the modern world. The Island is a maze of winding roads, laneways and trails that take you around the rugged landscape. Like the other Aran Islands there are rocky hillsides, beaches, and wild flowers blooming throughout. Witness breath-taking views of Ireland’s most famous vista by boat. 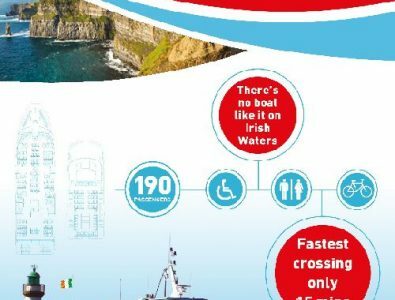 Set sail from Doolin on a 1-hour journey to the Cliffs of Moher as they reach their great heights and don’t forget your cameras! Awarded a ‘Top 12 Ireland Experience’. The Cliffs of Moher rise to a height of over 214 meters (700ft). 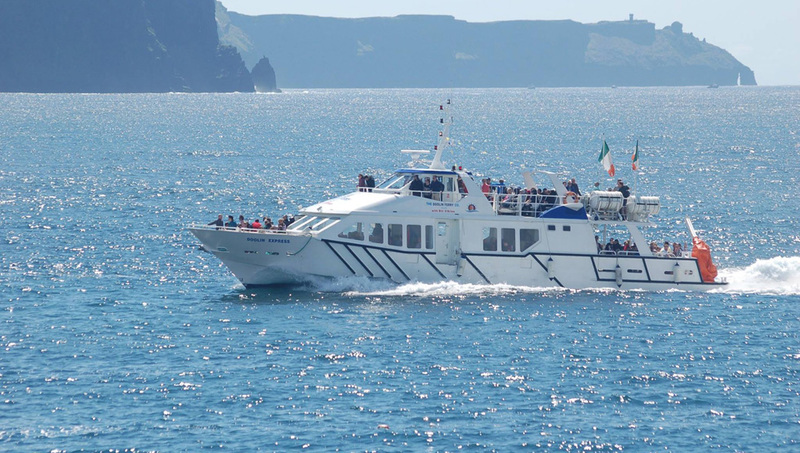 Our cruise sets out from Doolin Pier and follows the Doolin coastline taking in magnificent views all along the way. The Cliffs of Moher have Ireland’s largest mainland nesting bird colony on its lands. 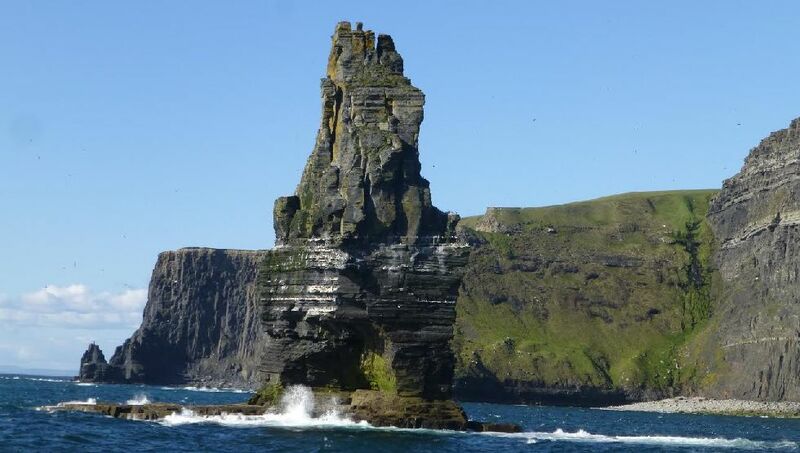 The Great Sea Stack (Branaunmore) plays host to thousands of sea birds that make it their summer home. 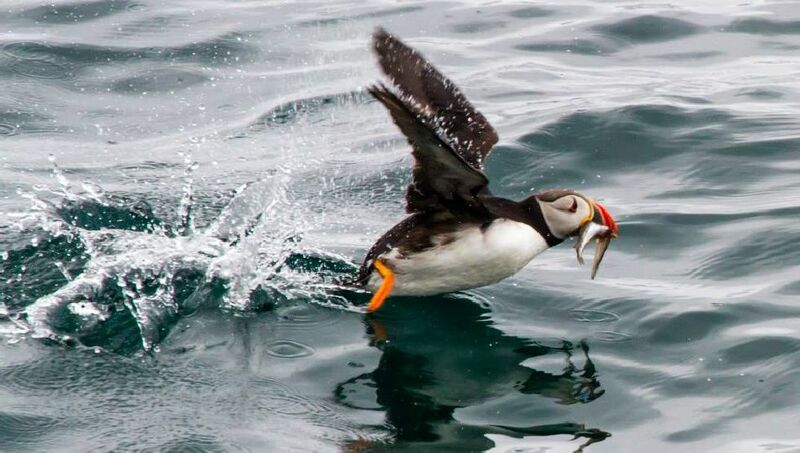 Our ferry takes you there to view birds such as Puffins, Guillemots, and Razorbills just to name a few! Once part of the Cliffs of Moher, this great sea stack is now left to weather the Atlantic seas alone. 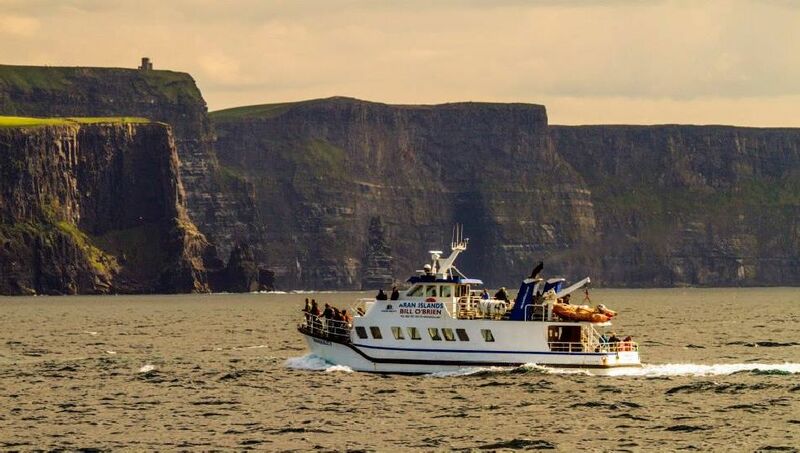 Cliffs of Moher Cruises depart daily at 12:00pm, 3:00pm, and 5:15pm. Additional sailing times may be added so please be sure to ring ahead to confirm the schedule. Please note ferry services are weather dependant and operate from early March 2017 to early November 2017. Reservations are recommended. 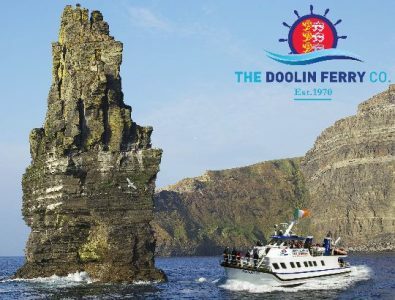 This summer will see the launch of Doolin Ferry’s exciting new ferry the ‘Doolin Express’. 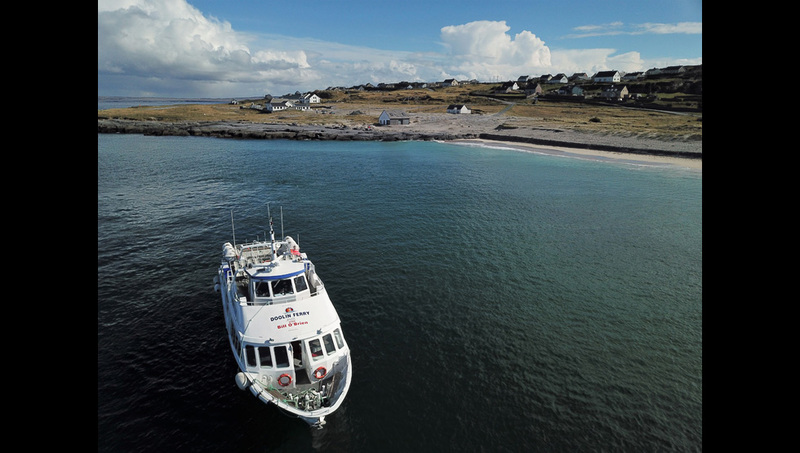 Travel to the Aran Islands in double the comfort and half the journey time. The trip to Inis Oirr from Doolin normally takes 30 minutes, the Doolin Express will do this in just 15! With its ‘state-of-the-art’ electronic stabilizers, contemporary design and build, using newest materials and technologies the Doolin Express is amazingly light AND stable giving passengers a truly unique fast yet comfortable crossing. The Doolin Express takes 190 passengers, has 3 toilets, one accessible. With double height viewing decks inside and out, the Doolin Express is twice the size of our former ‘flagship’ the M.V. Tranquillity, and any other ferry currently operating from Doolin Pier. This is an exciting addition for the Doolin Ferry Co. service and all our customers. 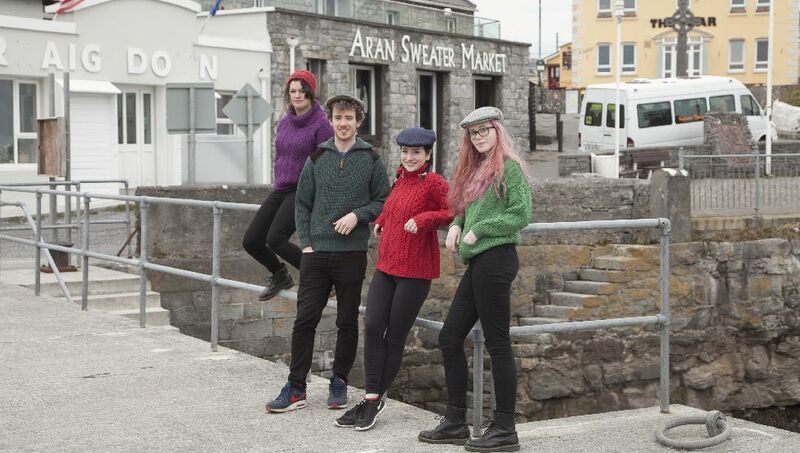 The Doolin Ferry Co. works with several local partners to promote environmentally conscious and sustainable tourism in Co. Clare and on the Aran Islands, Co. Galway. We are proud members of the Burren Eco and Doolin Tourism Network. 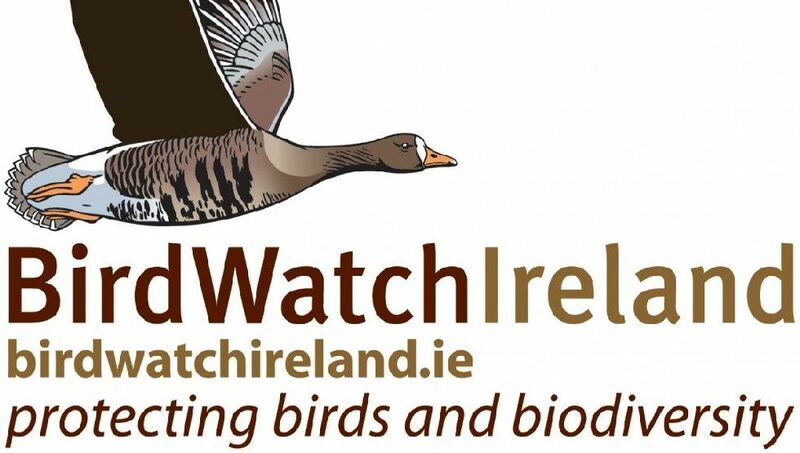 Responsible business and the sustainability of our local environment is important to us which is why we are also proud sponsors of Birdwatch Ireland and the Irish Whale and Dolphin Group. When you choose The Doolin Ferry Co. you are also choosing to support our local environment. 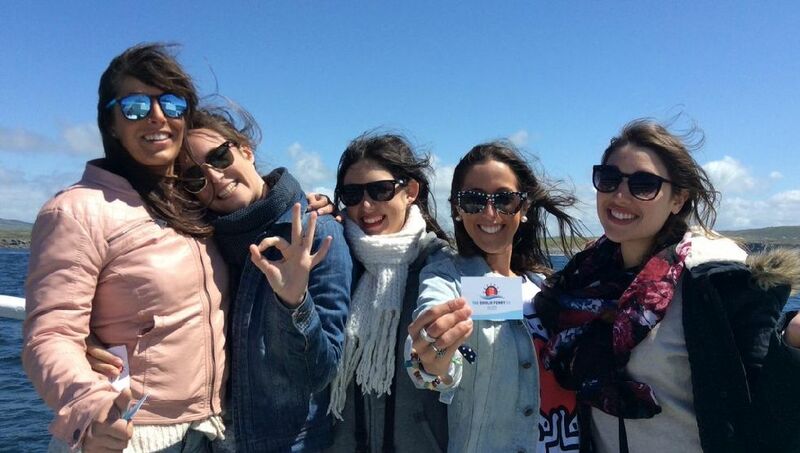 Failte ar bord THE Doolin Ferry Co.! 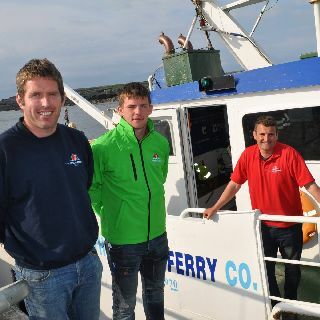 Welcome aboard THE Doolin Ferry Co.!